Cedar wood shakes, or shingles, can add unique natural beauty, and durability to the roof of any home. The pleasing aesthetic quality of a cedar roof is created by splitting the wood, which exposes and highlights the natural gain. Your cedar shake roof is truly one of a kind, and that customized appeal will add value to your home. Cedar material is hardy and can withstand the extreme seasonal changes here in the eastern US. Our snow and ice accumulation, thunderstorms, high wind, heat and humidity do little to damage your cedar shake roof. Cedar is nearly impervious to decay and won’t degrade on its own. With the proper care and minimal maintenance, your cedar roof can last up to 50 years with proper maintenance. Despite that, issues can certainly pop up that require cedar roof repair. If you’re noticing leaks coming from your roof, contact the Maryland’s cedar roof repair professionals at Dominion Roofing. We’ll provide you with fast, reliable, and affordable cedar roof repairs without the upsell you’ll get from other contractors. Fill out the contact form on the right to get started! There are circumstances which could cause damage to your cedar shake and require cedar roof repair. 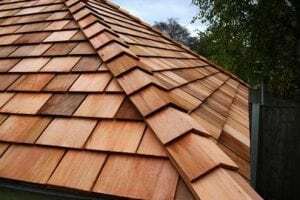 Because you want the most from your cedar roof, you’ll need a roofing contractor who not only brings experience and know-how to the job, but also stands behind his work. Dominion Roofing Co. has the knowledge and experience to perform cedar roof repair and the confidence in a job well done to assure customer satisfaction. Dominion Roofing Co. has been serving homeowners in Northern Virginia and Maryland for over 25 years. Our customer satisfaction has earned recognition from trusted consumer agencies, such as BBB and Angie’s List. We’ll inspect your cedar shake roof, provide you with an estimate, and begin your cedar roof repair. We won’t finish the job until you’re completely satisfied. Many homeowners put off contacting a professional roofing service simply because they anticipate the need for a costly new roof. While that’s sometimes the case, more often than not, cedar roof repair can fix the problem and provide you with several more years of beauty and performance. 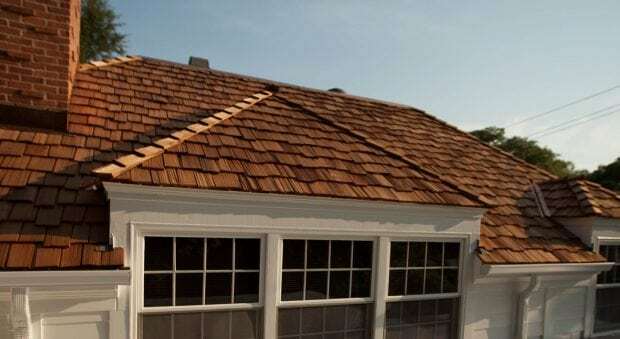 Small problems, such as shake replacement or flashing repair, can become much larger problems, such as structure damage, in a short amount of time, but timely cedar roof repairs can eliminate these risks and keep repair costs to a minimum and even help you avoid the need for more costly roof replacement. A common problem with cedar shake roofs can be remedied by practicing proper maintenance. Because your cedar roof is a natural material, mildew and moss can grow and build up on your shakes. When this happens, water can become trapped and cause damage to the shakes themselves, or, possibly degrade the flashing and cause leaks. Dominion Roofing Co. can help you maintain your cedar shake roof through regular inspections. 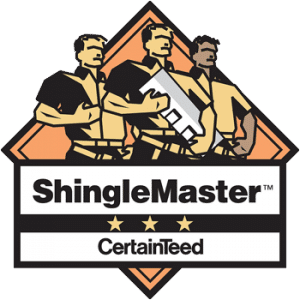 Our team of professional cedar roofing contractors knows what to look for as a source of potential damage to your cedar shake roof, and will advise you of the remedy. By staying on top of maintenance, you can avoid occasions for major cedar roof repair. Should your cedar shakes ever need replaced, Dominion Roofing Co. is your source for trustworthy cedar roof repair and replacement. We understand your choice of cedar shake because of it’s unique aesthetic quality and we’ll help you preserve that look. You want someone you can trust when you need cedar roof repair. At the first sign of leaks or damage to your cedar shake, turn to Dominion Roofing Co. We offer cedar roof inspections and will let you know the estimated cost of repair to your cedar roof. Whenever possible, we’ll provide you with options so you can choose the fix that best fits your budget. If you’re cedar shake roof is in need of repair, call Dominion Roofing Co. at 301-942-2009 or click “Get an Estimate” on the right today for a no-cost roof inspection. You have nothing to lose — unless you wait!